Trying to sort out your social media policy but can’t decide whether you should be tweeting or posting or digging? 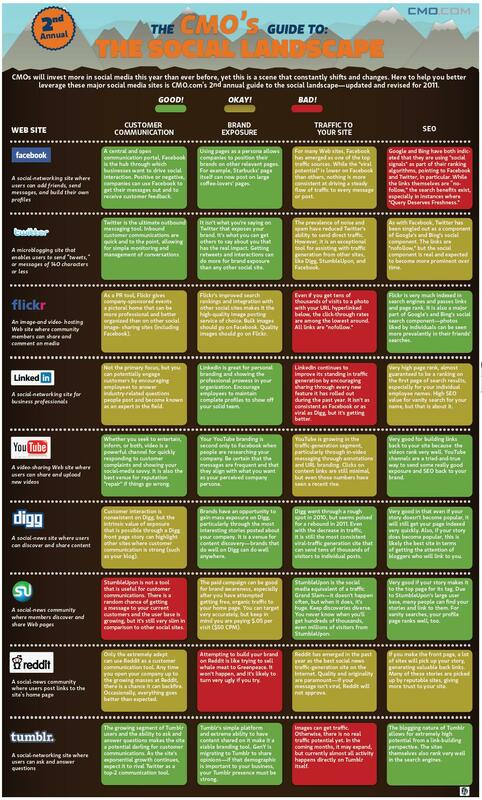 Well, thanks to this handy infographic from CMO.com you can tell your Flickr from your Facebook and all the other key social media sites. It assesses the benefits of getting involved in each of the platforms and grades them on four criteria.